Bellissima la combinazione di colori! 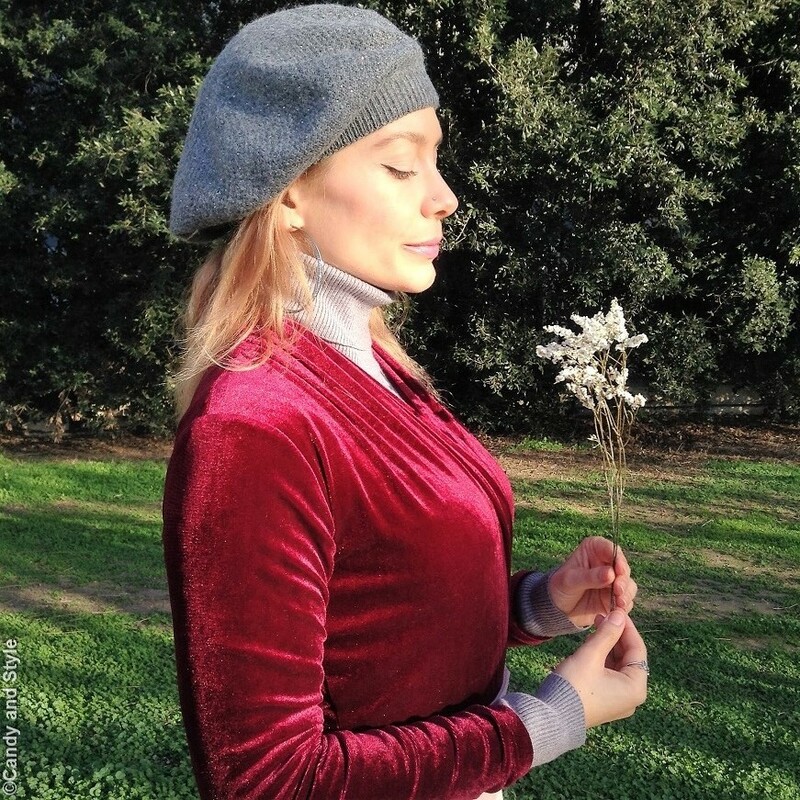 Hi Lilli, velvet is such an elegant and warm material that it’s perfect for winter. Your colour combination is refreshing for winter. Yesssss velvet is so luxurious and trendy at the moment! I absolutely loooove the wrap around. It would look so cool with casual jeans also. Looking gorgeous as always sweet Lily! The bodysuit has a very ballerina-like feel indeed and the whole outfit just exudes femininity and gracefulness. You wear it beautifully Lilli! 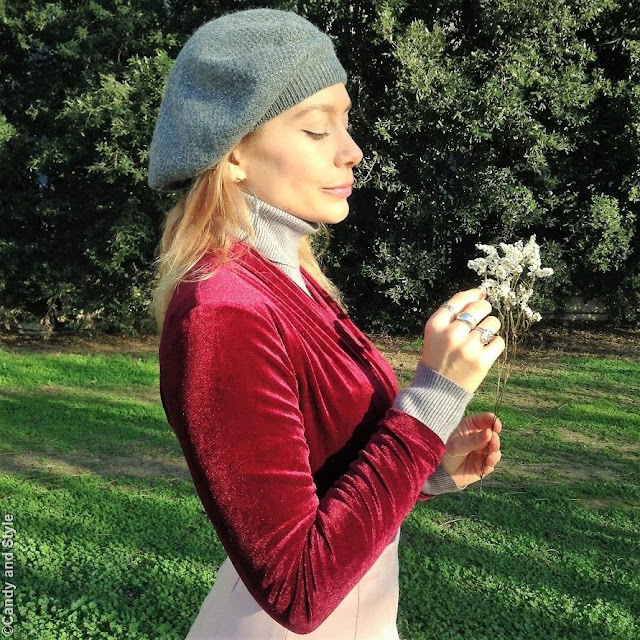 Hello Lilli, divine lights in this set, I noticed that the berets like the one you are wearing are very fashionable, I have a velvet top very similar to that and it had not occurred to me to use it I will keep it in mind the following winter! Kisses.